Although I miss the yummy fruits of spring and summer, I always enjoy the change in our meals to incorporate winter fruits and vegetables! Butternut squash is one of those fun winter vegetables that you can do so much with! I recently started following The Gracious Pantry and tried her take on baked butternut squash! 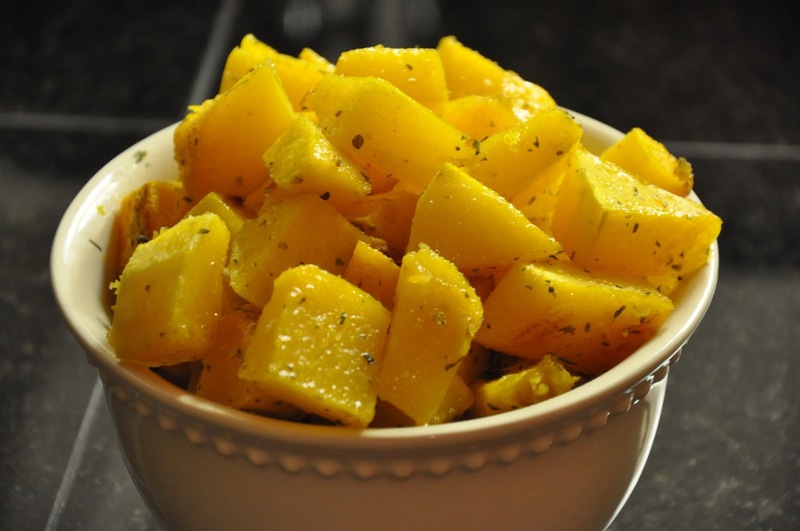 Not only was it healthy, the squash was flavorful and delicious! Hi Elizabeth! Thanks so much for your sweet comment... we think Kaki is pretty cute too! :) Ha! Actually, you may not remember, but my husband and I both went to Baylor with you. I was a Pi Phi with Wynne but am your age... I was roomates with Whitney Womac our freshman year... I think that might be how we were first introduced. I love your blog... such fun! I will keep coming back to check out the yumminess! So glad you commented! Happy New Year! Oh my goodness! Hilarious! I didn't even put two and two together! :-) HI! Thanks for your sweet comment! :-) Hope you have a wonderful Saturday!